It’s Valentine’s Day 2013, and I’m definitely having the most romantic day ever. Want to hear? Jude’s horrific battle with the preschool plague continues when he started randomly running a fever again Tuesday, the day after finishing his antibiotic. So we head back to the doctor yesterday, and his double ear infection is STILL THERE somehow, so they give him Omnicef which is a super strong antibiotic. All in all, this will make 25 consecutive days he’s on them. Poor kid. I feel so bad for him. We get home from the doctor on Wednesday afternoon. I give him a dose then and then another dose this morning. 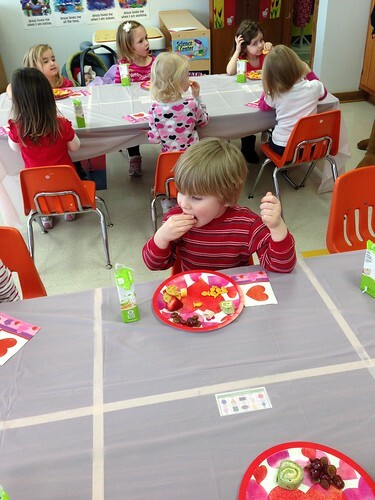 It’s his preschool Valentine’s Day party, and I’ll be there with him for half the day anyhow and the doc tells me it’s not contagious, so I send him anyway. 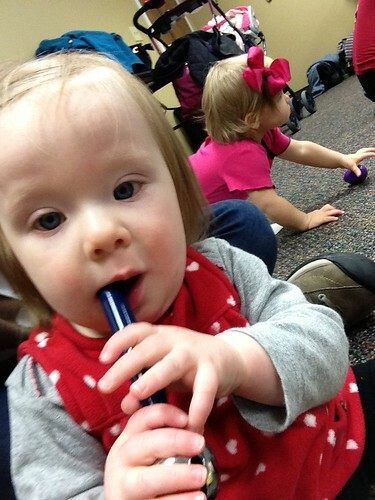 Norah and I attend our baby music class where she crawls around like a maniac and eats the instruments. Yay! Then I head to Jude’s school and they seem to be having a great time. He eats lots of good food and makes me a necklace. Then we head home and he lifts his shirt to scratch his belly and hives hives hives. Like everywhere. Swollen hives. All across his little tummy and lower back and on down to his knees. I run to get the package insert to the newest antibiotic and like all package inserts, it pretty much makes you think that your child is dying right that minute, and I pick up the phone to call the doctor. As it turns out, it’s not entirely uncommon to be allergic to it in this way and as long as his face or throat is not swollen or itchy, we are okay. So they call in an antibiotic #4 and I give him some Benadryl, and he’s sleeping now. I’m just hoping we wake up tomorrow with a new start. Because y’all, he had hives on the bottom of his feet and he cannot walk at all. So I’ve been carrying two children who total 60 pounds. All afternoon. And by the way, Scott has been in Boston all week and it’s been WEEK THREE of caring for sick children alone, and I am pretty much at my wits end. He comes home this afternoon feeling terrible, and he just left for urgent care an hour ago and called me to say it’s a sinus infection. Which if course I hate for him, but THANK YOU BABY JESUS it is not contagious. I cannot handle more sick in this house. Cannot. PSA for all of you: You can be the most kale-eating, granola-making, vitamin-taking, green-smoothie-drinking, real-food-cooking, breastfeeding mama out there. And preschool germs? THEY WILL FIND YOU. And it won’t be pretty. Oh my gosh. I am SO so so so sorry to hear this. Here’s hoping the little sweety pie can shed all the sick soon. I feel for you. Virtual hugs! The Preschool Plague is impossible to avoid. But, in your case, maybe it would be even WORSE (is that possible?) 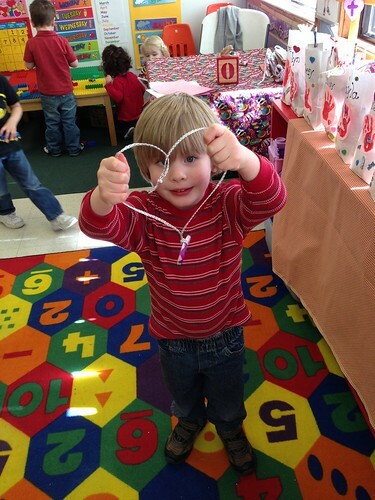 if you didn’t do all those other health-tastic things for your kiddos.